Museums - VictoriaBC.ca: Your Guide to the top things to do in Victoria! Victoria is a town of beauty, culture and history, and is one of British Columbia and Vancouver Island’s most important cities. That also means that Victoria BC is the perfect candidate for a number of fantastic museums, which showcase nearly everything from local ocean life, to military history, city history and even bugs. Check out some of Victoria’s top museums and plan out which of Victoria’s museums make your “must see” list. This particular museum is the pride and joy of Victoria’s museums, constantly making the “Top Things to Do” lists on Victoria B.C. travel forums and websites. Royal B.C. Museum is well worth a half-day of your time, rain or shine. The three permanent galleries have a collection of nearly 7 million artefacts and objects, including archival records and specimens of natural history. It has been collecting and growing since it was founded in 1886. The three galleries, Modern History, Natural History and First Nation’s History, are split into eight concentrations: Entomology, Botany, Ornithology, Herpetology, Paleontology, Invertebrate Zoology , Ichthyology and Mammals. The Natural History Gallery is a crowd favourite thanks to its welcoming Wooly Mammoth that guards the main entrance. Exploring B.C. and Vancouver Island’s environment, the gallery takes you through the natural scenery of the province throughout its history and to the present time, delving into our forests and allowing a close look at British Columbia’s wildlife. There are plenty of stuffed animals, such as grizzly bears, and forest-dioramas that catch your eye and keep you occupied. The First Nations Gallery is incredibly interactive and features tons of articles, as well as a long house. This particular gallery lets you understand piece of Victoria and B.C.’s important cultural history and background. It gives insight into the roots of the area, and the First Nation’s influence in the province and capital city. Finally, the Modern Era History Gallery takes guests through the arrival and history of the first European and Chinese Settlers. There’s an entire boat, the HMS Discover, on display. This was the boat captained by George Vancouver himself, who was one of the first Europeans to meet with Vancouver Island’s First Nations people after he arrived in Nootka Sound. You’ll dive into the progress of this first meeting, through Victoria and B.C.’s logging and mining eras, including the Gold Rush. While visiting the Royal B.C. Museum, be sure to check out what’s playing at the IMAX Theatre – pairing your museum ticket with a movie ticket is a cheap way to spend the day and make the absolute best of your visit to the museum! Many of the films are from National Geographic, and are therefore filled with some of the most stunning natural scenes you can imagine. For anyone interested in Canada and especially B.C.’s aviation history, or who loves all things airplanes and engines, the BC Aviation Museum is the perfect place to spend an hour or two. The entire place is dedicated to restoring and displaying their collection of aircraft and artifacts that deal with aviation in Canada and British Columbia. Engine displays, archives of aviation books, pictures and videos, detailed history’s about important figures in the history of aviation and more all reside within. Located next to the Victoria International Airport, you’re just a short hop away from sitting in historical airplanes and checking out incredible models and restorations. For those interested in wartime aviation, the Memorial Room is a must-see, as it is filled with memorabilia from the wars participated in by the Royal Flying Corps, Royal Air Force and Royal Canadian Air Force. It even features models of all the aircrafts that had been stationed in the historical RCAF Station Patricia Bay, which was a Commonwealth Air Training Plan Centre during the war years. Visitors are welcome to wander through the restoration facility, which is adjacent to the Main Display Hangar, as long as they are accompanied by a tour guide. Be sure to go through on a Thursday, as that’s work day in the facility! There’s also a gift shop on site to pick up models, toys and many other souvenirs to remember your time, or to gift to someone in love with aviation and history. If you prefer the sea to the sky, then the Maritime Museum of B.C. might be the perfect historical pit stop for you. Considering Victoria is on the south coast of Vancouver Island, the ocean and its nautical history played an important part in shaping Victoria into the city it is today. From the Indigenous Peoples of British Columbia, to the first explorers and the CPR Steamships that delivered the first of Victoria’s tourists, the Maritime Museum of BC digs into our relationship with the Pacific Ocean – an adventurous and wild piece of the past. The museum is a collection of permanent and rotating exhibits, including a couple of historical boats that are parked at the Ogden Point Cruise Ship Terminal. The third ship in their incredible fleet was being restored on Gabriola Island as of 2018. Besides the boats, the museum’s collection of artifacts covers nearly 35,000 items, each with significance to B.C.’s maritime history. Art, model ships, uniforms, navigational tools, lights, ship badges and plenty of other intriguing items span the years from 1775 to 1985. To make the most of your time at the museum, join in on a tour and be sure to dive into the interactive aspects of the museum’s displays. Some of the skills include learning your boat signal flags, and how to tie seaworthy knots. Children love the activity booklet that you can pick up from the desk as it keeps them busy with a scavenger hunt and word search. When they’re completed, they can collect their treasure! Another highlight tis the 20-minute film featuring Captain Irving Johnson as he sails through a storm during a trip around Cape Horn. Tucked into Esquimalt at the Canadian Forces Base (CFB) Esquimalt is the CFB Esquimalt Naval and Military Museum! For anyone interested in Canadian and west coast military history, this is a must-see for museums. Split into four distinct sections, visitors dive into the military groups that have had the largest impact on Canadian history with a lasting legacy and heritage: Canada’s West Coast Navy, West Coast Defenses, the Women’s Royal Canadian Naval Service and the Canadian Women’s Army Corps. Many areas of Esquimalt still reflect the history of Canada and Victoria’s military influence, so it’s a fitting spot for such an intriguing museum. It was officially opened to the public in 1987, with another grand reopening in its current location at Naden in 1994. 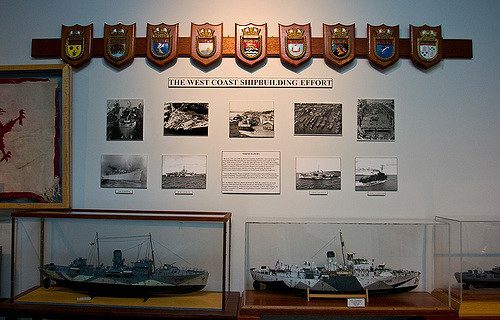 Since the first conception of having a navy and military museum, the CFB Esquimalt Naval and Military Museum has been adding to its collection, expanding its archives and maintaining its goal of displaying, interpreting, preserving and collecting Canada’s history. The museum is a mix of permanent and temporary displays, with guided and self-guided tours to help you make your way through the extensive collection. A visit is by donation, with the recommended amounts available online at their website. It makes for a fascinating afternoon and gives visitors a deeper understanding of the very area they’re walking on, as well as the role of women in the World and Korean Wars. When visiting be aware you’ll need to make your way through the Military Base, and are required to show government ID in order to enter the base. Located in the upstairs of a fitting building, the Bay Street Armoury, is the Canadian Scottish Regiment (Princess Mary’s) Regimental Museum. Since its conception, the goal of the museum has been to preserve the link between Vancouver Island and the distant battle fields where their comrades lie. It dives into the history of the Scottish Regiment’s role in Victoria and Vancouver Island’s military history. Over the years, the museum has built an admirable collection, spanning from the first moments of the Regiment, all the way through to UN peacekeeping and NATO. You enter the museum through an old-style doorway of yellow and green, with the Regiment’s symbol on the window, and visits are by donation. Displays include uniforms, weapons of all kinds, photographs, badges and medals, drums, kilts, archives, flags and countless other objects. The history of the Scottish runs deep in Victoria, and their role in the Canada’s military history is huge. The museum offers an intriguing window into Canada’s past and the influence of the Regiment in Canada’s history. They pride themselves in being “one of the best regimental museums in Canada,” so anyone with an interest in history and military alike should pay this historical place a visit. Even the museum’s host building is a heritage site, setting the mood for the artifacts inside. Victoria’s Miniature Museum is a fun little pit stop and is an amusing way to spend a rainy day. 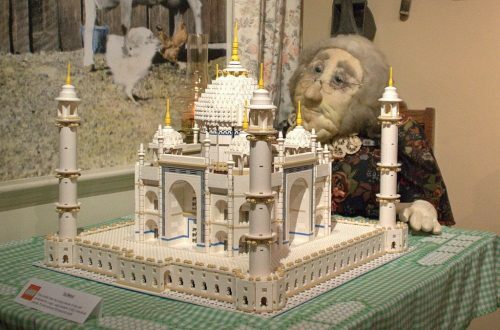 With almost 100 miniature displays and dioramas, they’re living up to their proclaimed title of “the Greatest Little Show on Earth!” From your favourite fairy tales and storybooks, to real historical places and events like the Changing of the Guards at Buckingham Palace, or a close up on WWII, there’s something for everyone. They all come to life and unfold right before your eyes! You can even go intergalactic to the future. It’s a great museum for kids, although many adults have just as much fun stepping back into that sense of childhood wonder. Over fifty rooms contain the amazing displays, and include the world’s smallest operational saw mill. The Miniature Museum has been at its location for nearly fifty years, and the exhibits are as dynamic as the displays themselves, changing with the times and desires of the visitors. Since 1997, the Victoria Bug Zoo has been giving visitors an up close and personal look at the lives of various bugs from all over the world! Not only are their displays alive and thriving, you can even have the opportunity to hold some of them and truly get to know the bugs. Incredibly knowledgeable guides will take you through the mini-zoo, describing and introducing the types of bugs, as well as how to hold creatures like cockroaches and tarantulas. It’s a thrill, and is a favourite place for kids and bug-lovers. Tours are on-going throughout the day, so you’re never too late, no matter when you arrive. The Victoria Bug Zoo has a variety of goals that answer their most common question, “Why a bug zoo?” Not only do they want to give bugs a better name by showing off the incredible diversity of invertebrates, combating misunderstanding by misinformation, promoting the conservation and appreciation of all living things, even the “gross” things like bugs, creating an enthusiasm for these misunderstood critters and helping people overcome phobias and fears in a controlled environment that is safe for both the visitor and the bug. The Victoria Bug Zoo is a unique little place to dive into another world and learn about some of our most under-appreciated critters. If you’re an aquarium lover, then the Shaw Centre for the Salish Sea is a must! While smaller than many large-destination aquariums, the Shaw Centre for the Salish Sea is packed with information and is home to 160 species of marine life. The aquarium strives to create awareness, knowledge and an appreciation for the Salish Sea Bioregion, as well as educate visitors on how best to care for such a delicate area and conserve its creatures. The centre also features a gift shop containing Coast Salish art and products, as it is located on the traditional territory of the Saanich people. Check online to see if you’re in time to catch one of the Centre’s lecture series. Take your time to complete your self-guided tour, and be sure to ask the staff plenty of questions – they’re incredible knowledgeable and happy to help. A major highlight for kids is the touching pools, where you can get hands-on with some of the creatures such as star fish, sea urchins and anemones. Their Giant Pacific Octopus, Sylvia, is also quite the sight! It’s possible to spend an entire day to see the 3,500 animals within, plus the Coast Nations art displays and the marine mammal exhibit. Luckily, your hand is stamped for re-entrance, so you can come and go throughout the day to see and do it all. Dive into the life of B.C.’s first settlers at Heritage Acres, where you will visit the pioneer church, take a seat in old schoolhouse desks, explore the blacksmith and get up close and personal with steam engines, buggies, wagons, cars and steam engines! It’s an immersive and hands-on experience loved by both adults and children alike. The Saanich Historical Artifacts Society has one of the largest collections of working household and industrial artifacts, tractors, steam engines and agricultural machinery in Western Canada! Spend the day in pioneer shoes by exploring each of the buildings and exhibits. The four sections are: Buildings, Tractors, Harvest and Steam Engines. A major highlight is the Vancouver Island Model Engineers’ miniature railway, which takes guests on a ride throughout the property. The summertime picnic, BBQ and park areas let you make a day out of the trip. Heritage Acres is a unique, hands-on experience and feels like much more than just a museum. While you’ll need to be prepared for rain if visiting on an overcast day, the activities, scenes and are a must while in Victoria. Outside of the events and workshops, just a normal day at Heritage Acres will create enough fun to keep you busy for hours on end. Another pioneer hotspot is the Saanich Pioneers Society Museum and Archives. From paperwork to household artifacts, the museum displays a pioneer kitchen, handwork from the women of the first settlers, and numerous other displays that come and go. First Nations artifacts are also included in the display, and archives are available upon request! The entire society is non-profit, and the museum stays open thanks to its volunteers and solely by donation for admittance, membership fees and other events held on the property, such as special speakers. Since 1971, the Sidney Museum and Archives has been collecting, preserving and displaying plenty of important artifacts and archives from the area spanning Sidney and North Saanich. There are over 7,000 significant historical pieces in their collection today, some of which are displayed in their permanent exhibitions. There’s also a variety of temporary displays, which cover everything from historical themes like WWII, to collections and art. Calligraphy, quilting, and even teddy bears make an appearance. 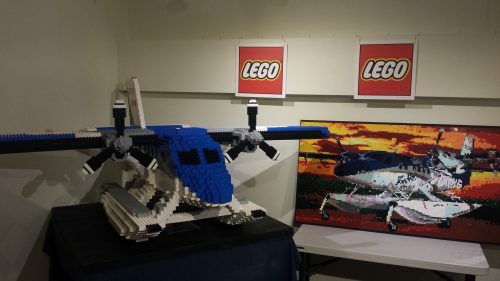 A crowd favourite, however, is the LEGO exhibit, which has been hosted at the museum over ten times. The Sidney Museum and Archives is a great place to walk through numerous different historical aspects in one single museum. First Nations history, agriculture, BC Ferries, WWII and refurbished tractors are the tip of the iceberg. There’s even a recreation of an old general store that used to sit on Sidney’s Beacon Avenue, which includes items from the original building! Admission is by donation and you can’t miss it, as the museum is held in Sidney’s own old post office. Marked by the bright red Triangle Island Lighthouse, Sooke Region Museum and Visitor Centre is a fantastic place to spend a sunny day. Buildings spread out throughout the museum grounds hold numerous exhibits, showing off Sooke’s history and culture via photographs, displays, models, dioramas and First Nations artifacts. You’ll find 18th century clothing and weavings, carvings, schools, gold mining tools, churches and plenty of other historical details within the buildings. The display soften change, which means even return visitors will have exciting new things to check out. Both indoor and outdoor exhibits make up the exciting and interactive museum, such as the Polemaker’s Shack, Blacksmith Shop and even a Steam Donkey. There’s a BBQ pit for sunny summer days, where visitors can make an entire afternoon out of their museum visit. The museum is also host to a number of events such as the Sooke Night Market and a Salmon BBQ, so be sure to keep an eye on their events calendar for when you’re planning to visit. For anthropologists and architects, the Wentworth Villa Architecture Heritage Museum is an especially intriguing place to spend the day. Dedicated to Victoria’s beautiful historic homes, as well as telling the tales of those who built them and lived in them, the museum gives you intimate insight into the lives of Victoria’s inhabitants through their homes. The Wentworth Villa itself was built in 1863 and was the largest residential building on Vancouver Island at the time. An extensive restoration project prepared the elegant building to host the museum. Diving into the 19th century and beginning of the 20th century, the museum takes a look at residential homes including building styles, techniques, standards and the lives of those who lived during that time. Making a visit to the museum is a bit easier said than done, as the current hours are 11-2 on every 2nd and 4th Saturday of each month. You can contact the museum to arrange a special visit outside of the hours. If you miss the free tours/opening hours of the museum, Victoria has no shortage of historical buildings (often with their own museums inside) to check out, and the Wentworth Villa Architecture Heritage Museum even put together a list of Victoria’s heritage buildings that you can’t miss!